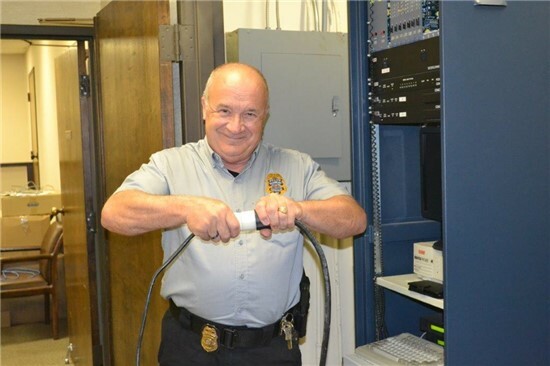 Batesburg-Leesville Police Department recently switched over to a newly installed 9-1-1 dispatch system – C-Blade. The state-of-the-art system is AT&T’s most advanced call handling system with BLPD being the first department in South Carolina to deploy the technology. Crews from AT&T and West Corporation have spent more than a month installing the hardware and software for C-Blade. The new 9-1-1 system will enhance 9-1-1 operations and provide valuable new features for BLPD dispatchers. In addition, the 9-1-1 mapping system is more accurate and provides additional information that can be utilized during emergencies to improve officer response time. The C-Blade 9-1-1 system replaces the department’s Life Line 100 system which had reached its end of life. The department had sought Town Council approval to upgrade to AT&T’s Viper 9-1-1 system but was presented an opportunity to jump to the latest technology by AT&T at no additional cost. “Our dispatchers and officers now have the most advanced tools available to better serve the public and respond when emergencies strike,” noted Chief Oswald.